Zoodles, sliced tomatoes, red onion, with fresh Chimichurri sauce - and a sprinkle of fresh Parmigiano. Easy, DELICIOUS! I don't cook my zucchini noodles - if you would prefer them blanched, bring a pot of water to a boil. Add the zucchini noodles. Let simmer for 3 minutes and drain. Rinse with cold water, or serve immediately while hot. Dovetailing tip: Use the chimichurri sauce that you made for Meal 1 to top the zoodles. All you will need to do is make the zoodles, slice the cherry tomatoes and red onion. Toss and serve. Place all chimichurri ingredients in a food processor or high powered blender. Pulse until you have a thick, smooth consistency. 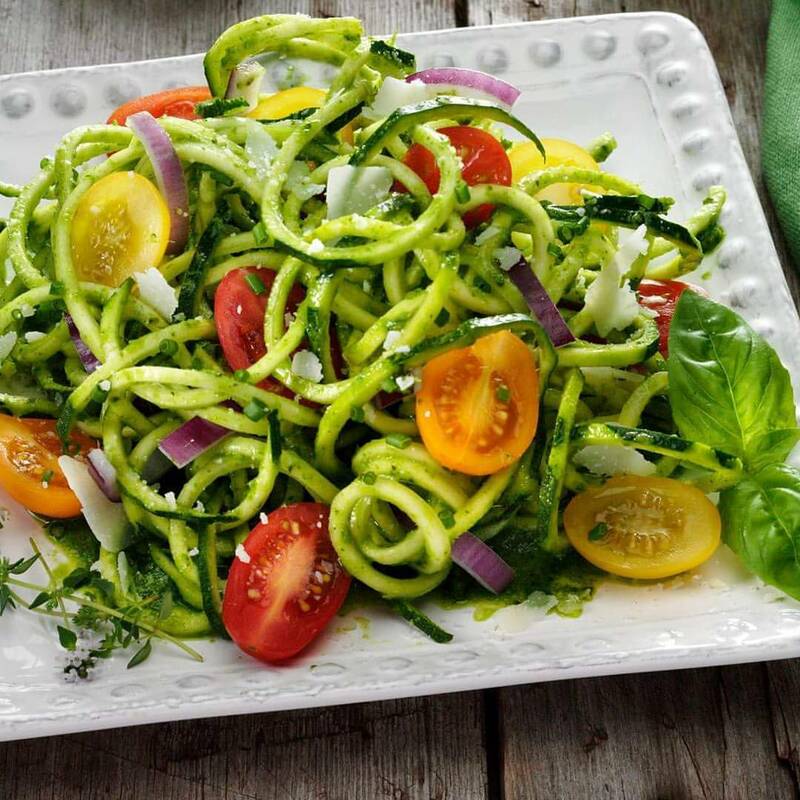 Using a spiralizer or vegetable peeler, cut zucchini into thin threads, called zoodles. Pour chimichurri sauce over zoodles; add cherry tomatoes and sliced onions; toss. Top with shaved Parmesan and and serve.